Liz Williams possesses the mind of a scientist and the soul of a pagan; her words paint the world in eldritch shades, revealing the familiar in subtly altered forms that make us question our own understanding. In 2010, NewCon Press released Liz’s last collection, the critically acclaimed A Glass of Shadow, and we are now proud to release her next, The Light Warden, volume 11 in the Imaginings series. Fifteen stories, two of which were selected for Year’s Best anthologies and seven that are original to this collection. 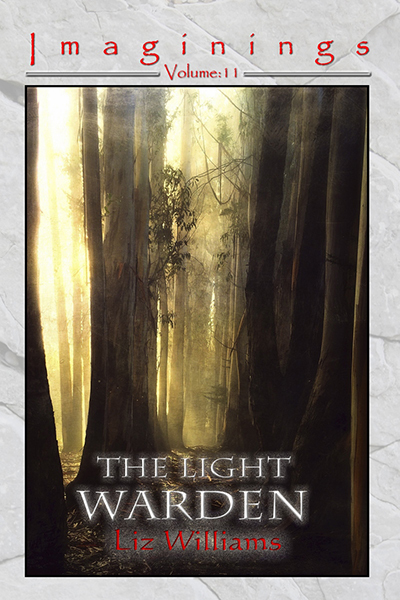 The Light Warden showcases Liz Williams at her best.